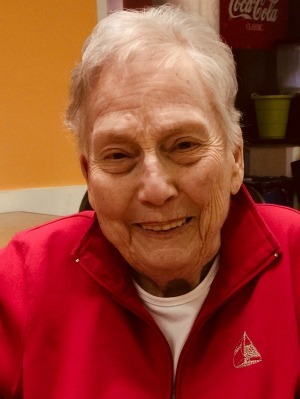 Nancy Fairchild Keiser, 91, died peacefully on March 1, 2018 in Lancaster, PA. Daughter of Frank and Ann Homan, she was born in Connecticut, made her way west, graduating from the College of Wooster, Ohio, then to Illinois where she met and married Paul H. Keiser, her true love for 65 years. They made their home in Burlington, Iowa for 13 years. While raising four children, Nancy served as president of the local United Nations Chapter, YWCA, League of Women Voters local Government Committee, and was an active Den Mother/Troop Leader for Boy and Girl Scouts. In 1967, they moved to York, PA where Nancy served as chair, officer, and volunteer for many organizations including the York Charette, Vote Yes Committee for Home Rule, York League of Women Voters, Children’s Home of York, United Way, York Hospital Fete, Habitat, Literacy Council, Jacobus Village Library, and elder at the First Presbyterian Church. She and Paul loved traveling the world and spending time with family and friends. Nancy touched many lives with her abilities to help others and made a difference along the way. She was a humble, caring, giving wife, mother, daughter, volunteer and friend- truly a gift from God. I am deeply sorry for your loss of Nancy. May you find comfort in the many precious memories you shared together as well as God’s promise to restore our dear loved ones to perfect life on a paradise earth. As you contemplate that promise, draw close to God in prayer and he will draw close to you and provide the needed strength to carry you through the difficult days ahead. All the best wishes for your family at this time, take care. I loved your parents, Patty, and your mom especially made me feel so welcome in your home. At the first lunch you invited me to during my freshman year band camp, we had cottage cheese with pineapple and spaghetti squash. I totally remember!!! Love to you and your whole family. Xo. Deb Calhoun (Harhigh). Dear Dr.Patricia and family. Walter and I are sorry to hear of your mothers passing. May God who comforts all that mourn, grant you the comfort of the Holy Spirit and continue t o knit your hearts together in love. May his peace that passes all understanding keep your hearts and minds in peace. Your beloved father and mother were pillars of the York Community! Your Dad was a significant force with assisting with my dream for a health education center and of course, your beloved mother, was one of our most devoted volunteers! I visited with them in Lancaster many times. They were one of the happiest couple’s I knew! May God hold you in the palm of his hand at this sad time. Your mother and father are greatly missed! They also were friends with my Mom and Dad, Gussie and Charlie Petron. Both of whom are deceased.